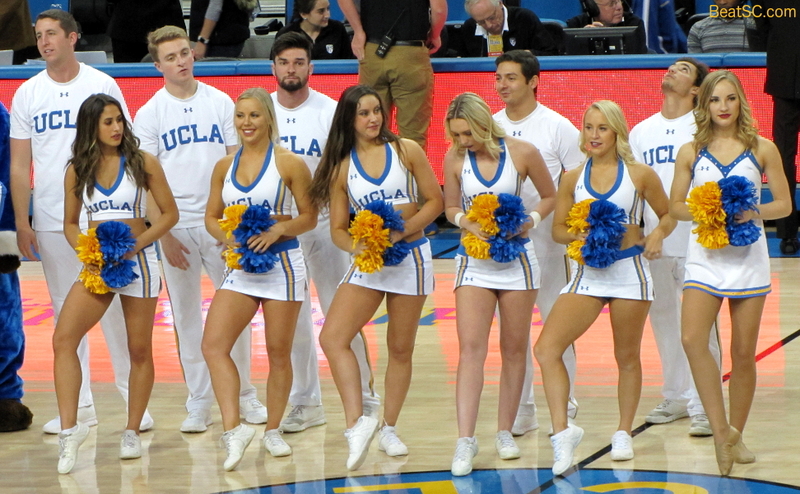 Coming off consecutive losses, and facing a decent 11-3 South Dakota team, UCLA really needed a win in the friendly confines of Pauley Pavilion. 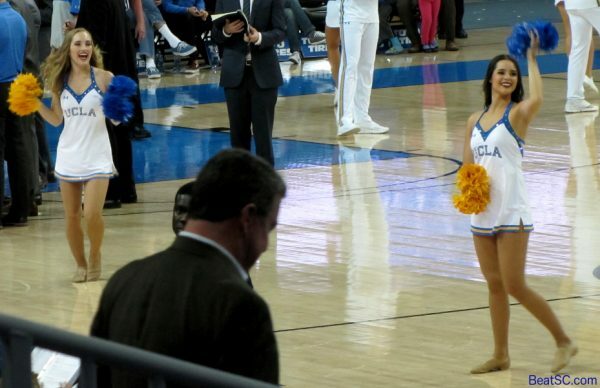 Unfortunately, those two defeats plus Winter Break for students caused the arena to be sparsely populated. 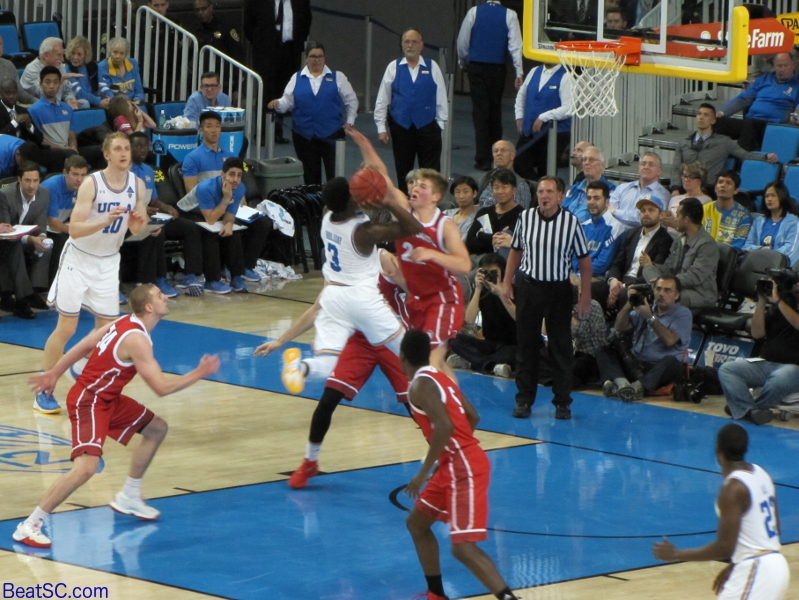 The lack of energy may have led to a lethargic first half by the Bruins, who got out-played and out-hustled by the 7-point underdog Coyotes, who led for much of the first half. A beautiful buzzer-beating Three by Jaylen Hands cut the deficit to 3 at the Half. During Intermission, Coach Steve Alford must have gotten through to his team, because they came out in the second half and finally started to gel. 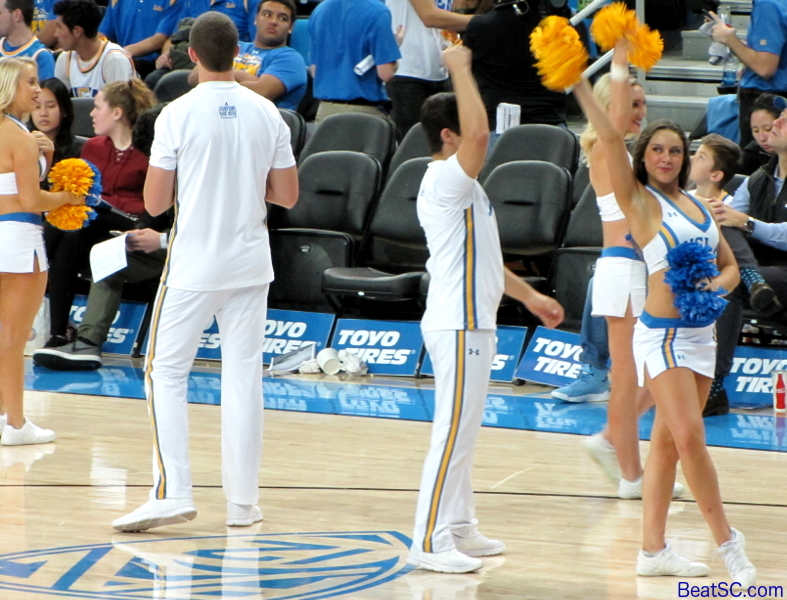 Every facet of their game improved, especially passing and Defense. The Coyotes went 10 minutes without a field goal while the Bruins outscored them by 27, taking a 24-point lead into the final 5 minutes of the game. 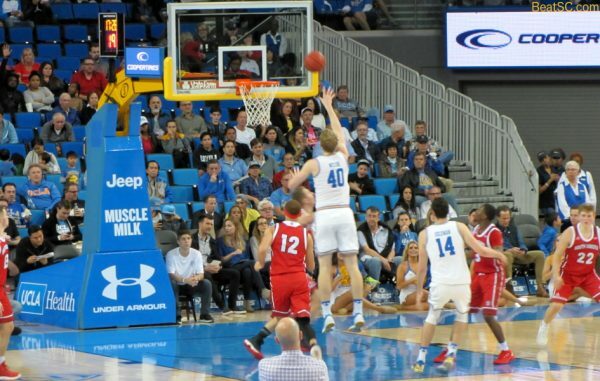 Thomas Welsh was clearly the star of the game, finishing with 11 Rebounds and 19 points, including 3 made Three-pointers. But with the huge lead and the game apparently in hand, Alford took Welsh out to rest him and protect him against injury — since the Bruins’ next game is against Kentucky. But it turned out to be too early to take Welsh out, as Dakota made a frenzied comeback. Welsh came back in, but couldn’t stem the tide. 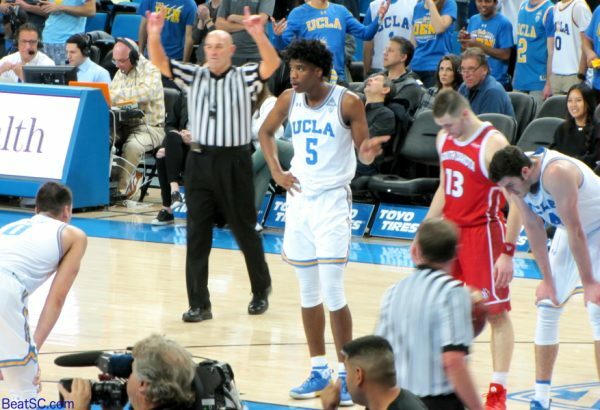 The ‘Yotes’ momentum continued, as they pressured the Bruins relentlessly, and the Bruins capitulated by turning the ball over, missing field goals and free throws. The lead was down to 2 in the final seconds. Hands made 1 of 2 free throws with 1.5 seconds left, allowing the ‘Yotes one last chance to tie. But, it was Welsh to the rescue. 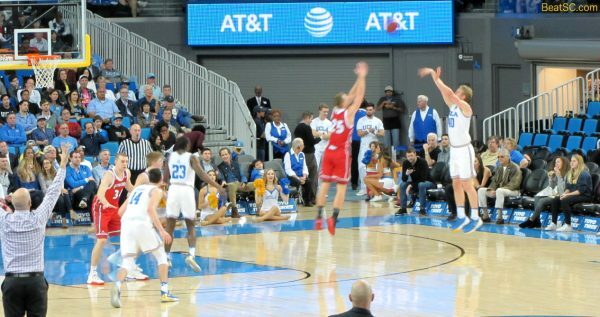 On Dakota’s inbounds pass attempt, Welsh barely got a fingertip on the ball, which caused the clock to start right then, instead of when the Coyote received the pass. Thus, the clock ran out before they could get a shot off. The Refs reviewed the play, because they didn’t see the tip, so they thought that the clock had started way too early. First the refs put 1.5 seconds back on the clock and were going to let the teams replay it, but after 6 and a half minutes of review, they finally realized that Welsh had indeed tipped the pass, meaning that the clock had NOT started prematurely, and therefore, the game was officially over. After the game, Welsh confirmed that he absolutely felt the ball hit his finger, thus validating the Refs’ final decision. 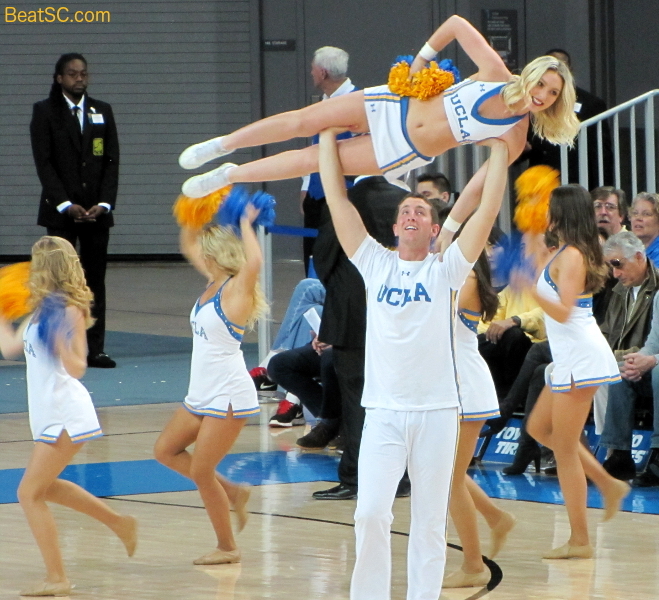 So let’s give a TIP of the cap to Welsh, who was clearly the Bruin MVP. But he wasn’t a one-man team. 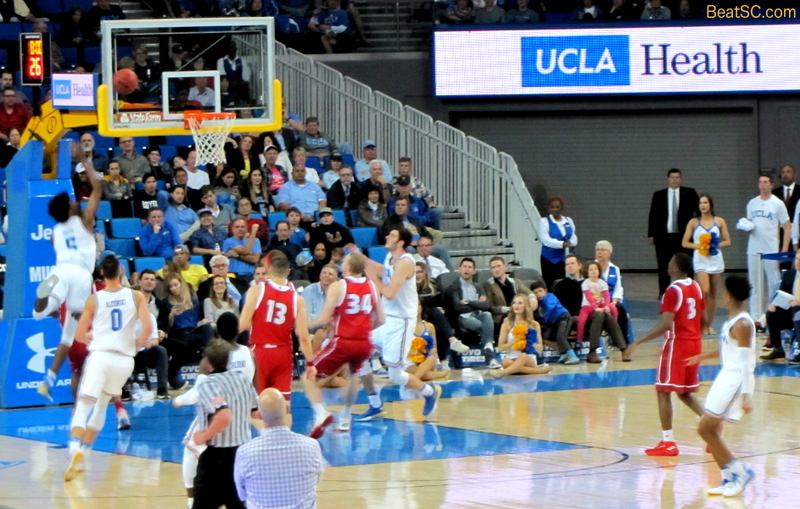 Aaron Holiday scored 15, including a driving bucket that ended an early Dakota run. Holiday was only 4-14 from the field, but he did add 5 Assists, 5 Boards, and 2 Steals. 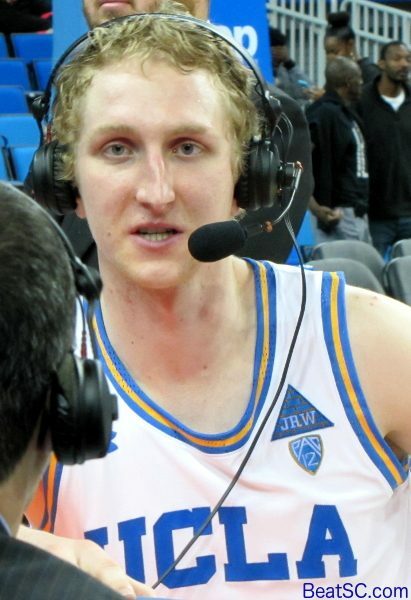 Hands had that buzzer-beater that fed and carried Bruin momentum into the second half, on his way to 12 Points. 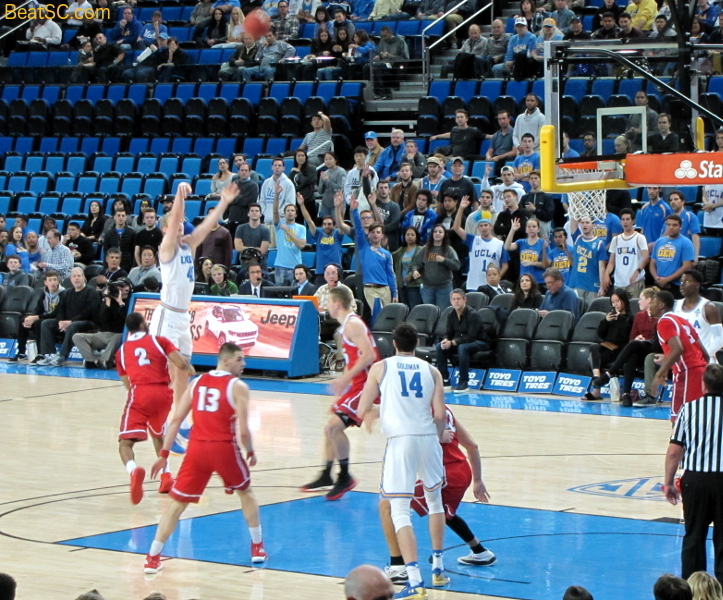 Gyorgy Goloman had a career-tying 12, including the first 4 Bruin Points of the game. He also blocked a shot in his auspicious first few minutes. And finally, Chris Smith finally put together a few good minutes. Smith started shakily again, but the light may have finally clicked on. He ended with 10 Points, including possibly the prettiest play of the game, when he grabbed a lob from Hands and finished a tough alley-oop with an off-balance basket. So the Bruins played good ball for 15 of the 40 minutes, mediocre ball for the first 20, and horrendous ball for the last 5. 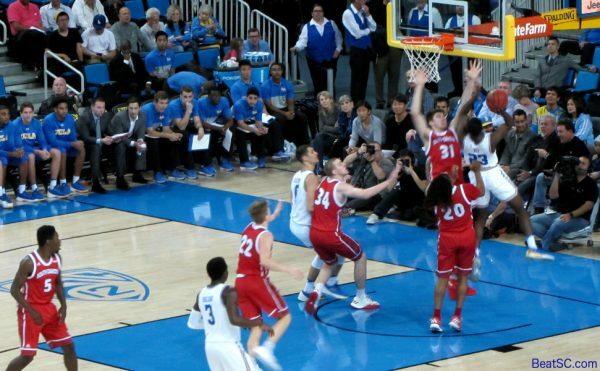 This inconsistent play would be horribly exploited if it happens against Kentucky. The Bruin 8 seem vastly over-matched in this upcoming game, but that’s what everyone said two years ago, when the Bruins upset the Wildcats, so you never know. Thomas Welsh: Deadly from Downtown! Welsh also effective in the paint. 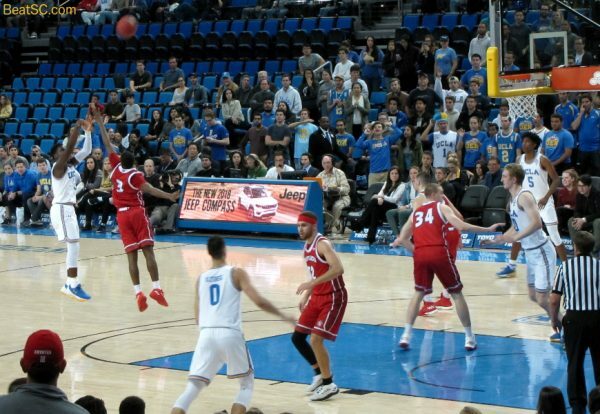 Aaron Holiday is usually MONEY from the arc, but not tonight. Holiday drives the lane. Does that mean it’s Candy Cane Lane? Chris Smith completes the alley-oop! Chris Smith striking an interesting pose. Thomas never Welshes on his responsibilities as a team leader. 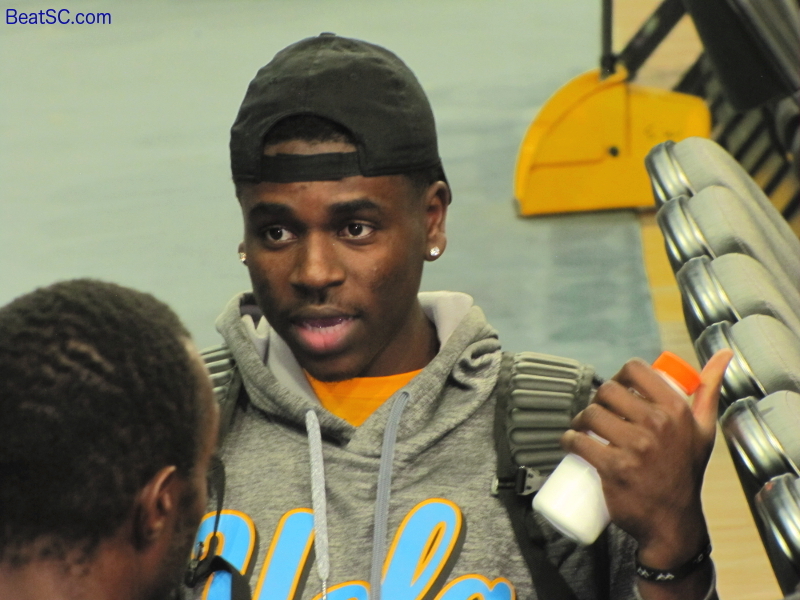 Aaron Holiday was a little subdued after the tough victory. 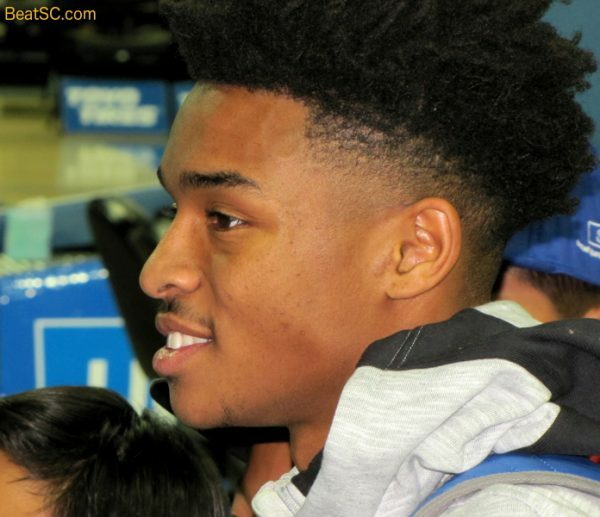 Jaylan Hands was cordial and personable, especially with the preteen autograph-seekers. 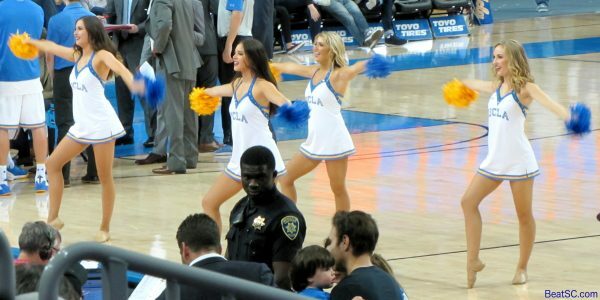 …are gonna dance all over you. 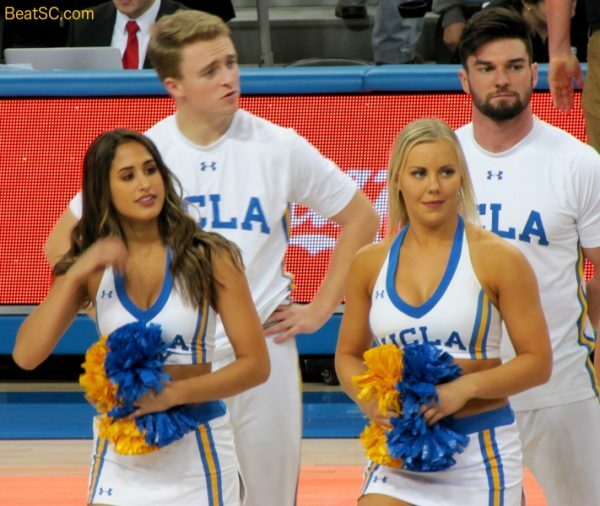 "WIN ONE FOR THE TIPPER" was published on December 20th, 2017 and is listed in Blue & Gold News, UCLA/usc/Cheerleader Photos, UCLA/usc/Sports Photos.